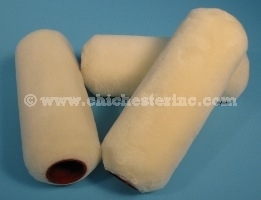 Merino sheepskin paint rollers hold more paint than regular rollers, provide for faster coverage, are easier to clean, and last a long time. Our premium quality paint roller covers are from the same factory and are the same quality as ones that are offered for sale in many big box stores and paint manufacturer outlets across the United States at much higher prices. They are suitable for all latex and oil-based paints. Please note that these are bulk roller covers and do not come with fancy plastic sleeves. They are ideally suited to do-it-yourselfers and painting contractors. Plastic sleeves are available for a slight surcharge. We currently stock the 9" x 3/4" rollers. Each 9" x 3/4" roller is 9” long by 3 1/4” wide and weighs 3.1 oz. Pre-wet the roller cover with water before using. This process opens the space between the fibers to allow the paint to penetrate into the pile better. Do not overload the cover with paint. Overloading cases the roller to slip and not perform as well. The rollers are designed to handle all modern paints. Remove the roller cover immediately when finished painting. For water-based paints, wash the roller cover with soap and warm water and then rinse it until all the paint is gone. Do not squeeze the cover to dry it. Instead, spin the cover to remove excess water. For oil-based paints, place the roller cover into turpentine or mineral spirits as recommended by the paint manufacturer. Swish around the roller cover to remove all the paint. Roll out the excess turpentine or mineral spirits and spin dry the roller cover to allow air to get into the pile. 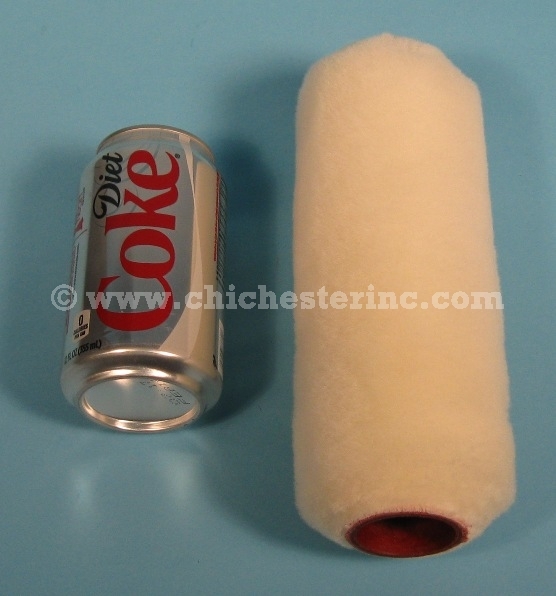 When doing price comparisons, we are comparing true sheepskin paint roller covers that are the same quality as the ones we offer. We encourage you to compare these yourself.